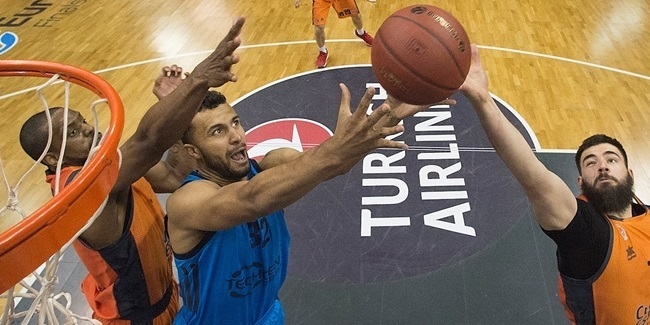 On a do-or-die night for six teams in the 7DAYS EuroCup, three of them succeeded and managed to advance to semifinals: UNICS Kazan, MoraBanc Andorra and ALBA Berlin, whose leader, Peyton Siva, became Game 3 MVP with his performance index rating of 16. His was the highest PIR on the three winning teams. Siva posted a double-double of 15 points and 10 assists to lead ALBA to a decisive 79-75 home win over Unicaja Malaga. 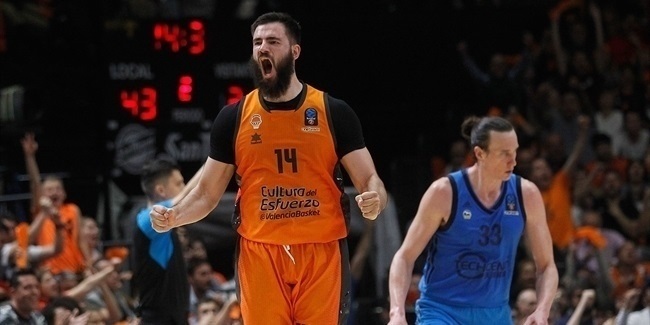 His 3 assists on three-pointers in a 9-0 run to finish the third quarter sparked ALBA's comeback from a 13-point deficit with 12 minutes left. Five players had higher PIRs than Siva's, but lost their games, and thus were not eligible for the MVP honor. Mathias Lessort of Unicaja led all players with a PIR of 29, thanks to his 18 points and 6 rebounds. JaJuan Johnson of Lokomotiv Kuban Krasnodar followed with a PIR of 27. The three performances that completed the best five in Game 3 were Miro Bilan of LDLC ASVEL Villeurbanne (22), Carlos Suarez of Unicaja (21) and David Lighty of ASVEL (19). Bilan of ASVEL was the top scorer in the three games played this week, with 19 points. With the quarterfinals over, Diante Garrett of Tofas Bursa, eliminated in the regular season, is still the top scorer with 18.4 points per game. Under the boards, Johnson of Lokomotiv was the only player in double digits with 12 rebounds, just one short of his personal best in the EuroCup. Jalen Reynolds of already-eliminated Zenit St Petersburg dominates the rebounds rankings with 8.1 per game. ALBA's Siva was the best passer in Game 3, with 10 assists, but his absence in several games due to injuries deprive him from claiming the top spot in the season rankings, which belongs to Garrett (6.1 apg.). On the defensive end, Unicaja's Suarez collected a high of 4 steals in Game 3. The season rankings are led by already-eliminated ratiopharm Ulm's Javonte Green (2.5 spg.). Three players managed to get 2 blocks apiece in Game 3: Lokomotiv's Dmitry Kulagin, Unicaja's Giorgi Shermadini and ASVEL's Livio Jean-Charles. Robert Upshaw of Arka Gdynia and Uros Lukovic of Mornar Bar, both eliminated in the regular season, still reign atop the season rankings with 1.7 blocks per game each.